Tiny home neighborhoods like the one Aspen Skiing Company erected at its Aspen Basalt Campground help ease the seasonal housing crisis plaguing ski towns across the country. It&apos;s no secret that rents are sky-high in ski towns, so when Aspen Skiing Company committed to more affordable employee housing, it turned to a small but growing trend sweeping mountain communities: tiny homes. Each home features bamboo floors with radiant heat, solid wood cabinets, large double-paned windows, kitchens with a microwave, small oven and two stovetop burners, and a wall-mounted flat-screen TV beside a couch that doubles as a storage unit. Exterior walls are constructed of structurally insulated panels with six inches of insulation, and the roof is made from one piece of material for easy replacement (though it has a 25-year lifespan). “When you build small, you can do high quality,” says Philip Jeffreys, a planning and development project manager for Aspen Skiing Company. No materials with volatile organic chemicals, or VOCs—which can be a health hazard—were used on the interior. An energy recovery ventilator circulates, filters, and freshens the air. Each home has a combined washing machine and dryer, a full-sized energy efficient refrigerator and dishwasher—and lots of creative locker and storage space. Tiny homes are big. The TV show “Tiny Home Nation” has a devoted following, Instagram is filled with pictures of adorable tiny houses (#tinyhouse), and tiny home consumer shows attract thousands. But Aspen isn’t the only ski town banking big on the tiny trend. “Tiny homes satisfy a craving for freedom—from mortgages, from locations, from the same old design restrictions,” says Stew MacInnes, founder of Maximus Extreme Living Solutions, a tiny home builder in Ogden, Utah. “They have an inherent ‘wow’ factor that makes people smile. MacInnes has built tiny homes for several clients in Park City, including a “tiny ski lodge” with a wood-heated hot tub, a refurbished chairlift, a collapsible table made of old skis, and a snowboard coat rack. “From an economic perspective, ski resorts need to look at tiny homes because you can put them virtually anywhere and create mobile, comfortable, and affordable housing with low upkeep and little maintenance,” he says. So why are there not more tiny-home communities? Zoning. Many towns, wary of trailer parks, have minimum-square-footage restrictions and zoning rules that prohibit tiny-home neighborhoods. That is why Aspen’s units are built on wheels, allowing the resort to place them in an RV park it already owns. They are essentially travel trailers—albeit deluxe. The latest trend-within-a-trend is taking place in the lodging industry, where hotels are offering tiny homes as nightly rentals. 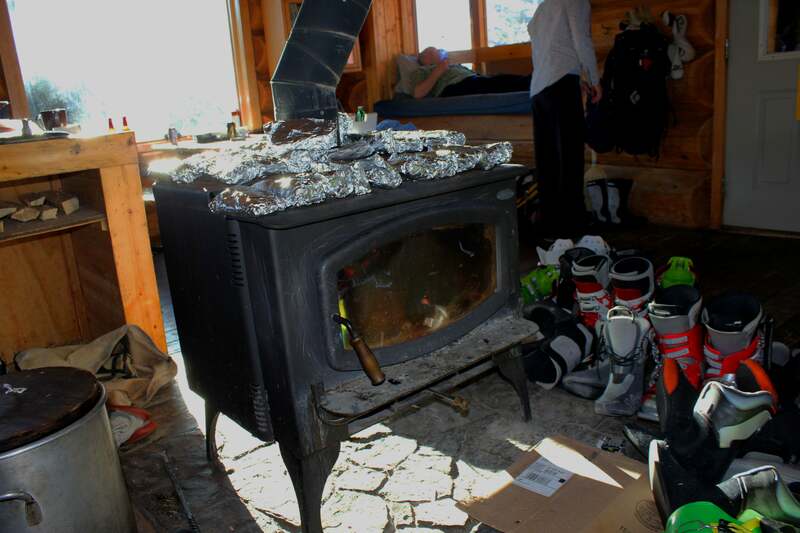 Fireside Resort near Jackson Hole has twenty-five 400-square-foot units for rent, ranging from $169 to $515 per night. “Guests enjoy them because it’s not a typical hotel experience,” says Kate Thomas, guest relations manager. Not far away, Snake River Sporting Club rents four tiny homes with Restoration Hardware furnishings and sliding glass doors that open to decks and fire pits. Diminutive they may be, but cheap they are not: Prices range from $225 to $625 per night.